In terms of chronological order Rune Factory Frontier is the third game to be released in the Rune Factory series. The game is available for the Nintendo Wii making its way to North American shores in 2009. 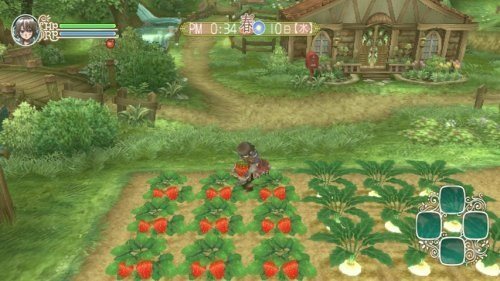 Just like the previous games in the Rune Factory series players find themselves in a fantasy realm where they own and manage their own farm. At the core of your decision process is the season system which is split between the four real world seasons (only three of these seasons support planting). Each season has their own crop types that are suited to that weather which while a very simple mechanic does make the game feel more realistic on the farming simulation side. 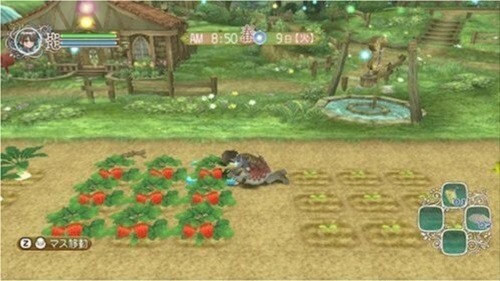 Farm simulation isn’t the only thing to do in Rune Factory Frontier though with players also able to take their character on dungeon crawling missions across four different dungeons which also have ties to the seasons in the game world. All of these actions ultimately provide the player with more wealth through the game currency of gold which leads to players being able to expand their farm and improve their dungeon crawling potential. Outside of the core gameplay players also have the opportunity to engage in marriage through socialising with the townsfolk. The game features thirteen different women to marry in the game world which is achieved by learning about their tastes and giving them appropriate gifts. Rune Factory Frontier is a great continuation of the fantasy Harvest Moon series and easy to include on a must own Nintendo Wii game list. The game somehow manages to be relaxing while also providing plenty of depth which will attract a variety of gamers. Available on the Nintendo Wii. Interesting underlying storyline to experience. Very impressive use of season mechanic. Good balance between farming and dungeon crawling. Marry one of thirteen different women.